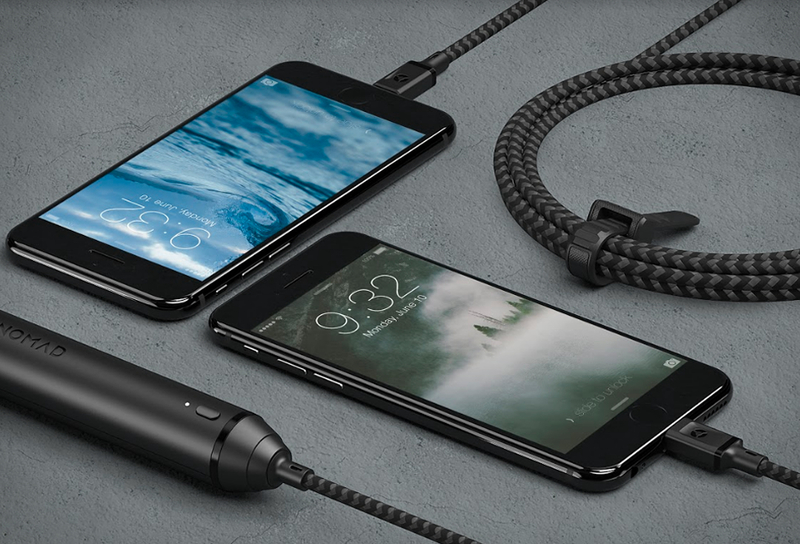 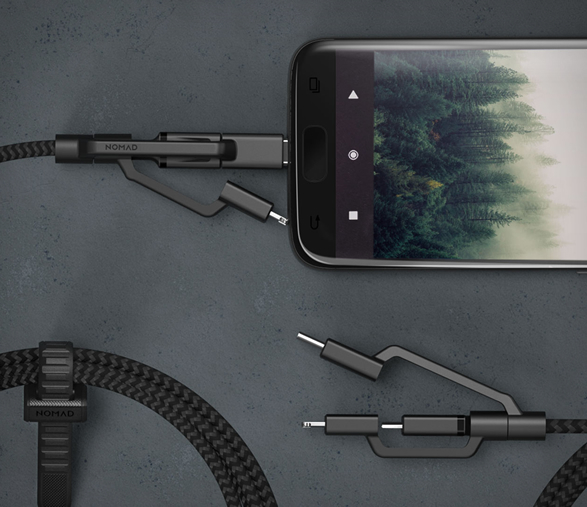 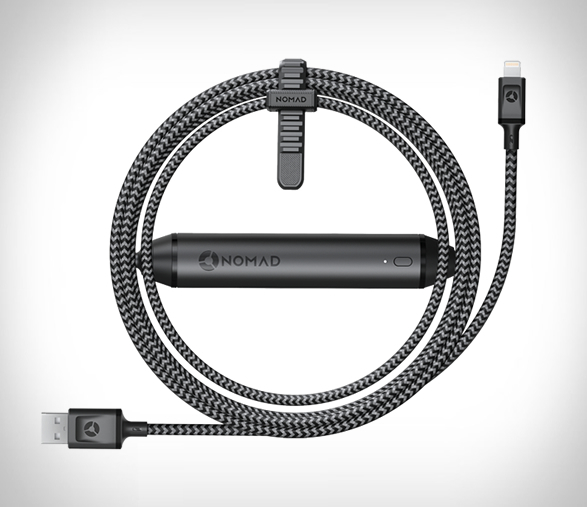 Nomad have just released a series of ultra rugged cables for iPhone and other devices. 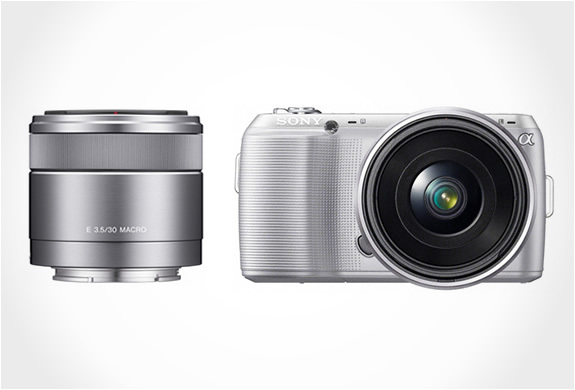 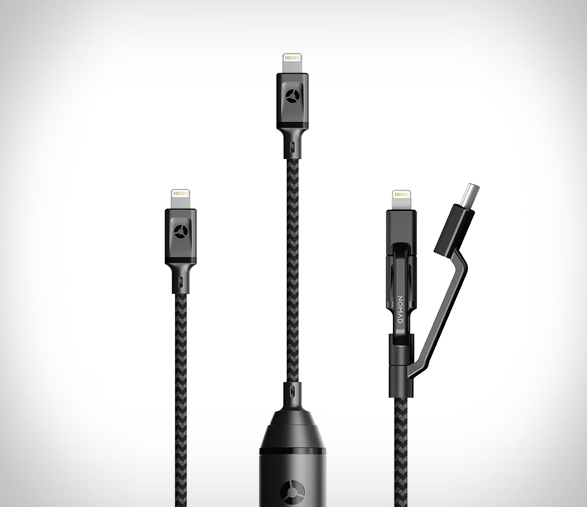 All three cables are ruggedly built to withstand the abuse of everyday life that regular cables just seem incapable of surviving. 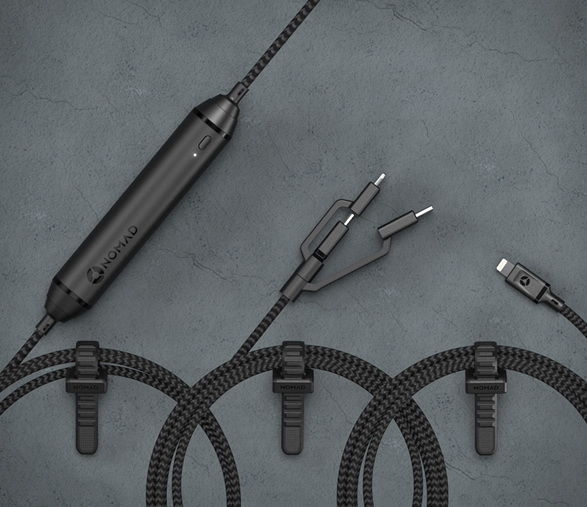 They feature a 4x strength kevlar core, 2x thick PVC jacket, and an ultra rugged nylon sheath to contain it all. 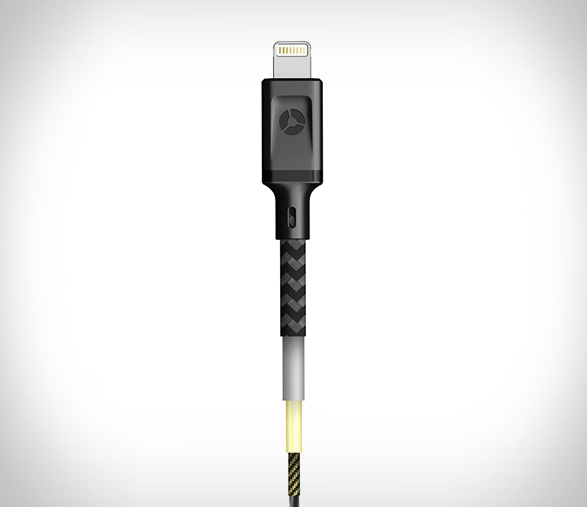 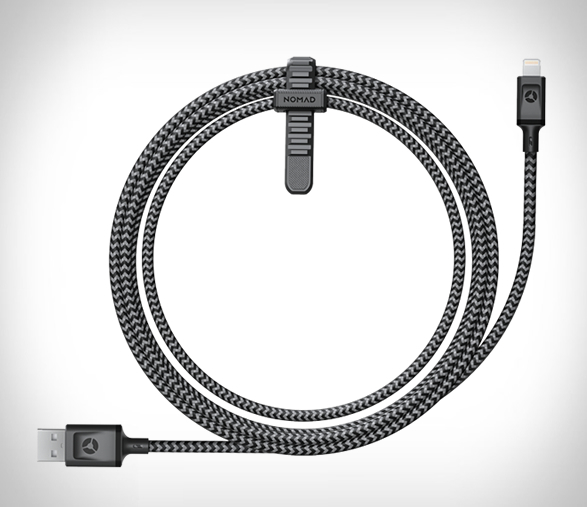 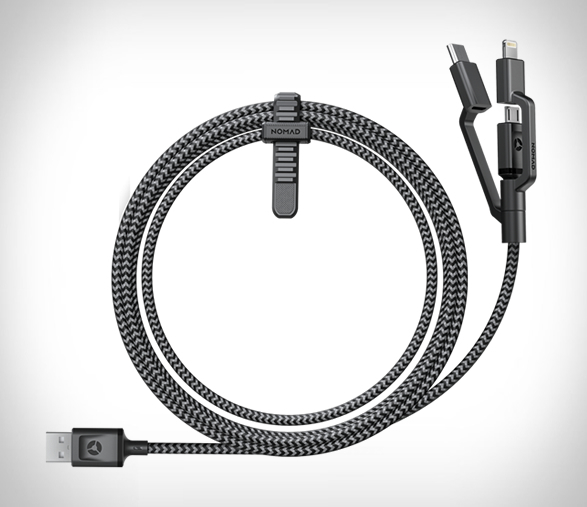 They are tangle-resistant and come in three styles, Battery Cable ($39.95): a 1.5M (5 foot) MFi Certified Lightning cable with integrated 2350 mAh battery, the Universal Cable ($34.95): A 1.5M (5 foot) Micro USB cable with added attachments for MFi certified Lightning and USB-C, and the Lightning Cable ($29.95): A 1.5M (5 foot) MFi Certified Lightning cable.